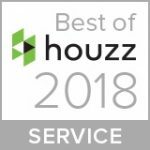 Since 2006, Suze Interiors has earned a solid reputation among realtors and home owners for delivering proven results. With their extensive inventory of furnishings and decor available, each home is custom staged to suit its architecture and style. The staged homes sell in record time, often over list price.